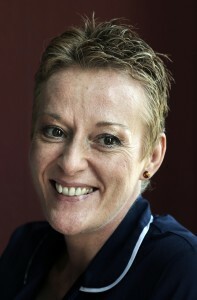 Amanda Curran is a registered general nurse from Stockton and has worked at Middleton Hall Retirement Village since 2004. “Middleton Hall was totally different to any place I’d ever worked in. The residents are second to none and it makes a huge difference to your working day. The staffing levels are flexible, allowing us to deliver the highest standards.The training is ongoing and keeps us up to date professionally.The staff all know each other and we are a great team. Our ideas and suggestions are listened to and this all helps us feel a valued part of the business. There is no average day and I really like that. At the end of the day, your loyalty is to the residents and Middleton Hall. We’re involved in all aspects of their daily life, both physically and psychologically – this helps the people that live here to be happy and live well. Family involvement is also very important so that we can all work together. My passion and area of expertise is in nutrition. Making sure residents eat well, and have food suitable for their requirements can be challenging at times – but very rewarding. If you know anyone who is a registered nurse and who would enjoy working at Middleton Hall like Amanda, please contact Human Resources on 01325 332207.